It’s a hot summer day, and everywhere you look around there are these new Gelato stands that have come up all over the place. But what is this gelato, and is it the same as ice cream? The short answer to that is, no it’s not very different from gelato, and in fact they are virtually the same thing. Gelato means frozen in Italian, so if you think of it Gelato may just mean ice- cream in Italian. But jokes apart, there are slight differences in the two, for example traditionally ice cream is served chillier than gelato. 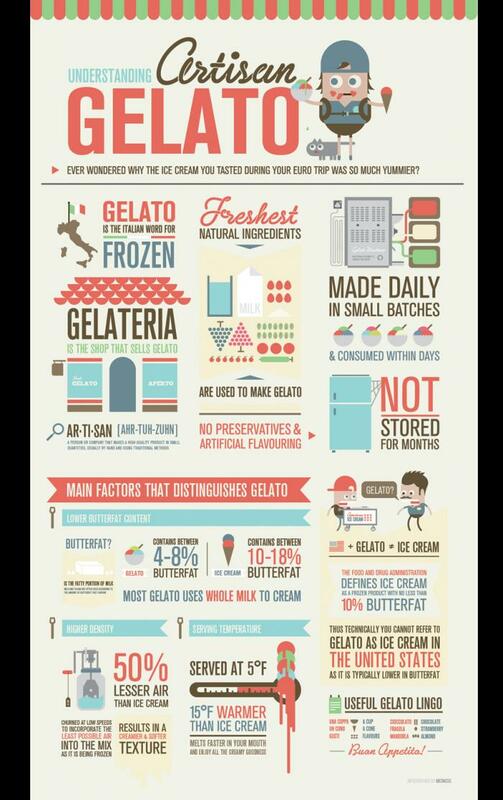 Gelato boasts a lesser butter fat content as well as is less fluffy than traditional ice cream.